KAMPALA – The Ugandan Ambassador to Burundi Rt Maj. Gen Matayo Kyaligonza has failed to show up on Wednesday, April 10, at the Mukono Chief magistrate’s court as he was expected to answer his alleged charges of assaulting and causing bodily harm to a female traffic officer Sgt Esther Namaganda. The court last week issued criminal summons against Kyaligonza alongside his two UPDF bodyguards Cpl Peter Busindiche and Private John Okurut but to the court’s surprise, it is only his (Kyaligonza) lawyers who turned up. Mr. Caleb Alaka has told the presiding Chief magistrate Juliet Hatanga that the two guards are in the hands of the state before the General Court Martial whereas Kyaligonza learnt about the summons in the press thus sending us his lawyers to cross-check and confirm. However, prosecution led by Mr Jonathan Muwaganya confirmed his proof of service of the summons to all the three suspects and that even their lawyers where dully served. The state also confirmed that the two guards are in Military custody at Makindye barracks and arrangements with the Ministry of Defence are underway to have them produced before Makindye court. The magistrate has extended their criminal summons up to April 29, 2019. The three suspects are facing four counts which the DPP sanctioned after being satisfied that the evidence gathered by police can sustain assault charges against them. However, the two bodyguards are separately charged with obstructing a police officer from executing her duties and common assault. According to the charge sheet, prosecution states that Kyaligonza 73, assaulted Sgt Namaganda on February 24, 2019, at Seeta Trading Centre in Mukono District thereby causing actual bodily harm. It is further stated that Cpl Busindiche 30, and private Okurut 27, unlawful Sgt Namaganda thereby performing a common assault. The three are also accused of obstructing a police officer in the due execution of duty contrary to section 238(b) of the penal code act. On a fateful day, social media outlets were murmured with a video showing Mr. Kyaligonza and his two guards slapping Sgt Namaganda whom they accused of stopping their vehicle after the driver made a U-turn in the middle of the road. Last week Mr. Kyaligonza in a press conference challenged Sgt Namaganda to bring proof that he assaulted her else he vowed to drag any person to court who accuses him of assaulting the traffic officer. 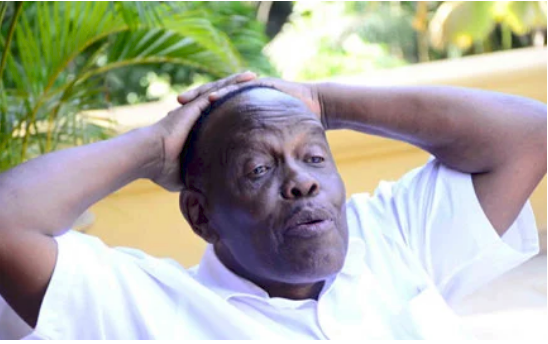 President Yoweri Kaguta Museveni on April 1, 2019, sacked Kyaligonza as the Ugandan Ambassador to Burundi replacing him with a senior lawyer Edgar Tabaro. His decision came days after Parliament called for Mr. Kyaligonza’s removal from office following an incident of assaulting the female traffic officer.